Listen to the Hillcrest Concert Choir as they gear up for their spring tour to the south west here>> Is this email not displaying correctly? The Comet Guys play rival Underwood this Thursday, January 10th at 7:30pm CST. To watch the game live visit www.ffhillcrest.org/livestream. Enduring dysentery, hepatitis, and a chronic problem with parasites was Bruce's lot out of high school. This week's Principal's blog kicks-off 2013 asking us to focus on the Great Giver. The blog calls us to find joy and peace in communicating Christ by stewarding the gifts and road God has called us to for the glory of Jesus Christ. We encourage you to view the video and read the Principal's blog and find encouragement in the hope of Christ in 2013. Hillcrest Comet Basketball players are looking forward to waking up Saturday mornings to greet a gym of grade school students. The Comet Camp program is a fun basketball camp for students in 1st through 6th grade during January and February. If you'd like to find out more information on the camp and how Hillcrest players are mentoring these students please visit the Comet Camp Page on the Hillcrest website. If you'd like to register a 1st through 6th grade student, please complete the online registration. Due to conference competition for our Basketball teams, the LiveStream archive will post basketball games at the completion of the basketball season. LiveStream events will still broadcast live on the day of the event. The next LiveStream Basketball game is a Comet Guys game on Thursday, January 10th vs. Underwood at 7:30pm CST. To view the game live please visit our LiveStream Event page on the Hillcrest website. 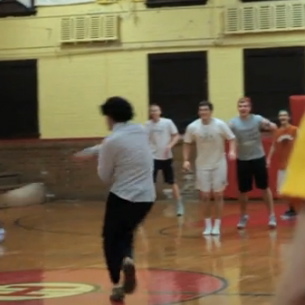 Disco Dodgeball is a highlight for many students in the second semester. The Highlight Video to the right is a short snippet of last year's event. We encourage you to watch the video and catch a glimpse of this fun evening. All high school students are invited to this event on Friday, January 11th at 9pm in the Main Building Gymnasium. In this weeks College Corner we introduce parents to the College-Level Examination Program (CLEP). CLEP offers the opportunity for students to receive college credit for what they already know. Students are able to earn qualifying scores on up to 33 introductory-level college subject examinations and accelerate their education. Exams run 90-minutes and cost only $77 each. Administered at 1,700 test centers, exams can earn students college credit which is accepted at 2,900 colleges and universities. CLEP offers exams covering material taught in courses that is generally taught in the first two years of college. Most CLEP exams are designed to correspond to one-semester courses, although some correspond to full-year or two-year courses. 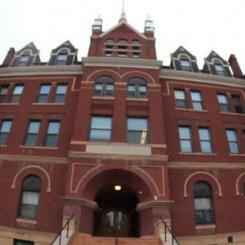 The dormitories open at 3pm on Saturday, January 5th. The Norwegian students arrive in the evening of January 6th. Students are invited to visit the dormitories to greet their friends as they look forward to second semester. The Comet Basketball teams play Tuesday, Thursday and Saturday this week. Check out the schedule and make plans to cheer them on through the Comet Practice Schedule. The Feb. 9th test for the ACT has a scheduled registration deadline of Friday, January 11th. 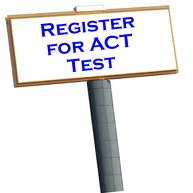 Families are encouraged to register at the ACT Website. Friday, January 11th at 9pm in the Main Building Gymnasium the annual Disco Dodgeball tournament will occur for all high school students. The Varsity Basketball Teams will lead the Saturday Morning Comet Camp Saturday, January 12th starting at 9am in the New Gym. For more info on the camp please visit the Comet Camp Page on the Hillcrest website.